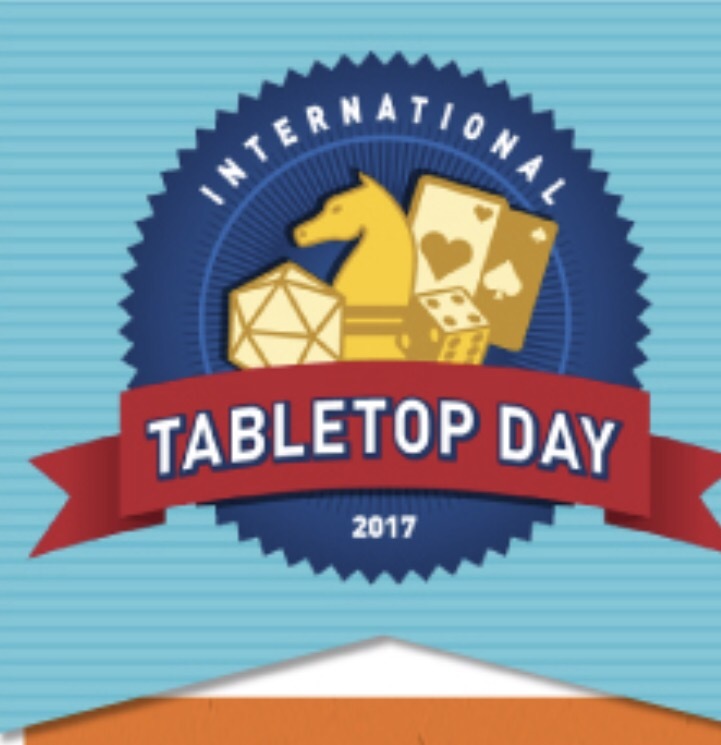 Did you know that April 29th is International Tabletop Day? I didn’t either!! But I’m glad there is such a day! Why? 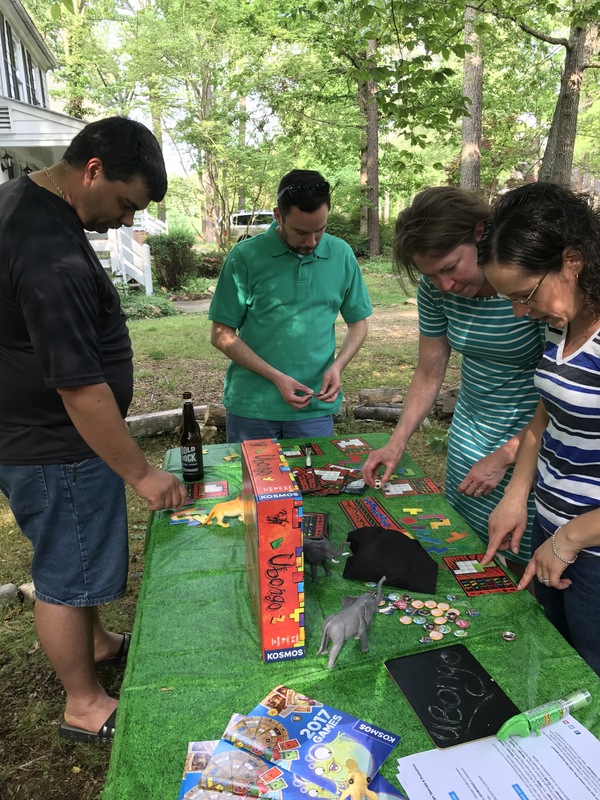 Because a good ole’ fashioned board game can bring families together, help turn off electronics and just be human!! 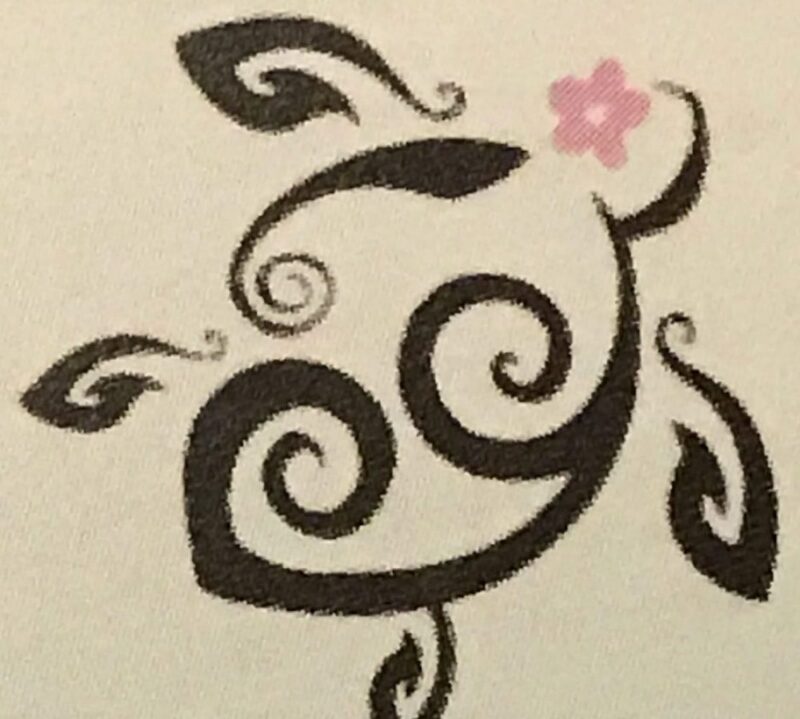 As I’ve mentioned in past posts I joined a great community called Tryazon. They recently partnered up with a game company called “Thames and Kosmos”. 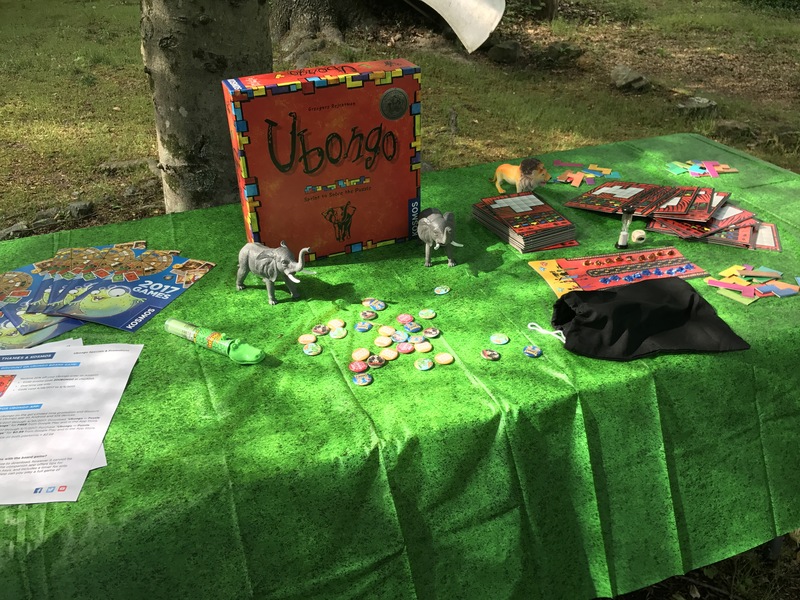 Together the offered a great party featuring the game called Ubongo! It’s a great problem solving game that can be played over and over without getting bored or too repetitive. When I received my party pack, I had to try out the game for myself. 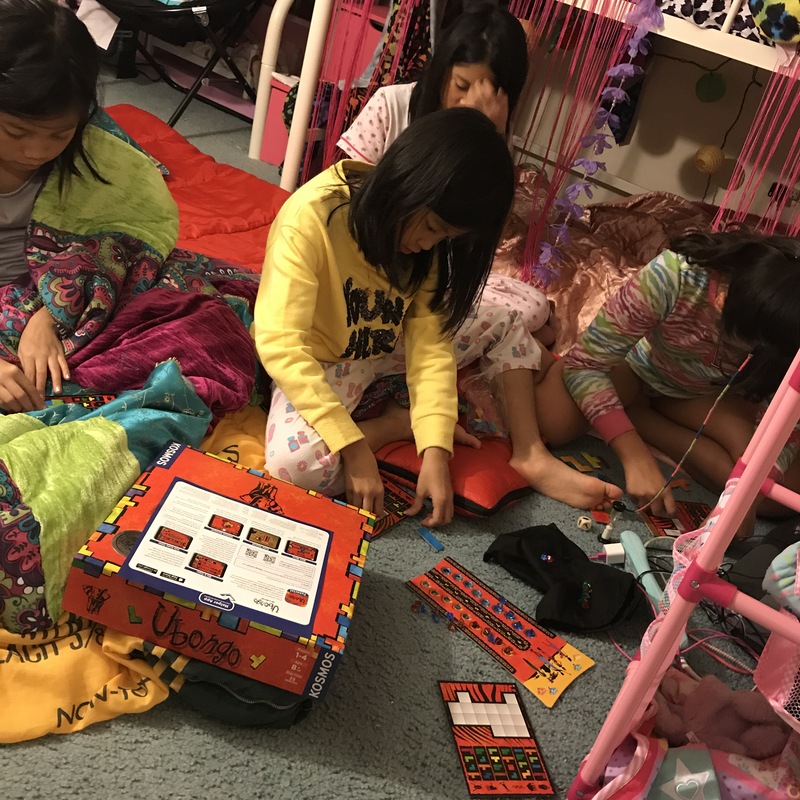 Apparently my daughter saw how much fun it was that it was sequestered at her slumber party! They found it challenging, but that’s what made it fun they said. The fact that you have to say “Ubongo” when your done and the gems you get for being first; brought out a little competitive side. But, in a friendly way that they all wanted to try to be first to solve the problem. Finally it was party day…. 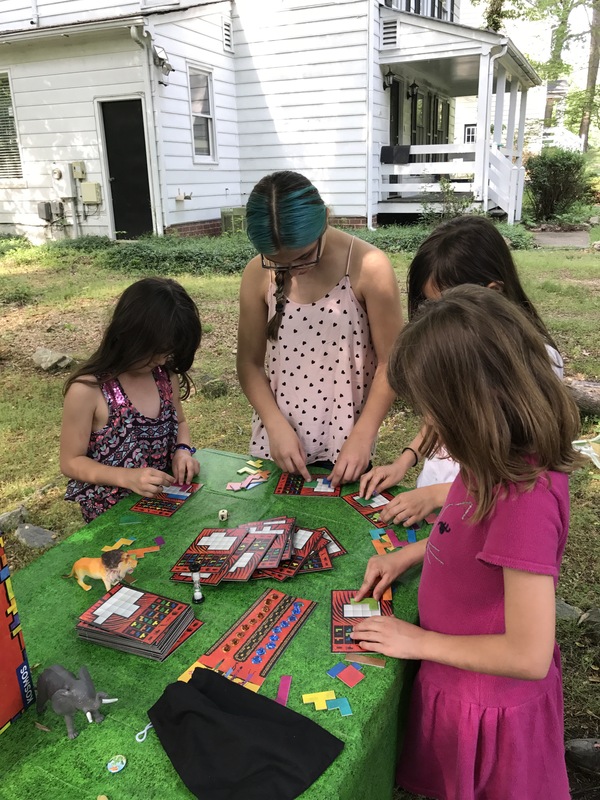 I asked another group of kids to give it a try, ages 7 to 12 years old. Yes, slightly under recommended age to play. 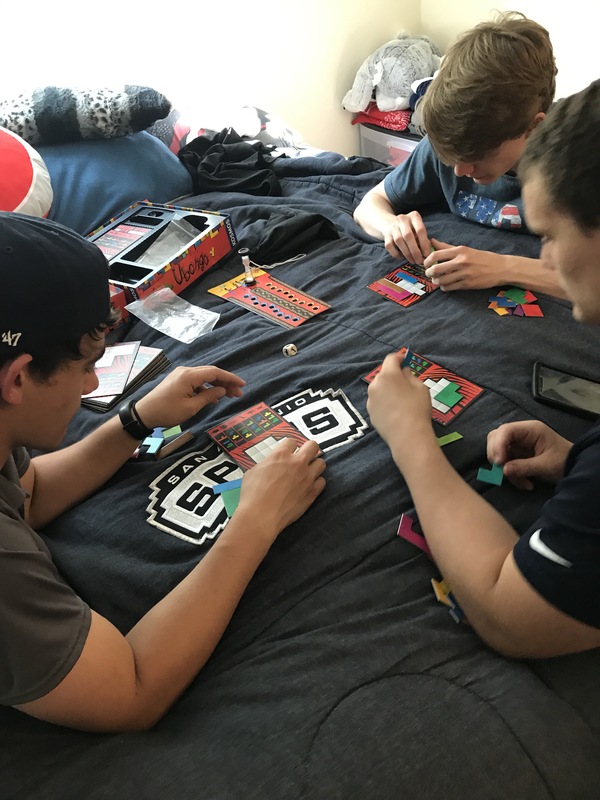 But being a lover of puzzles- loved the game!! When the young adults arrived, they decided to take a set inside- yes, I suppose we weren’t “cool” enough to play with. Regardless can they loved it and we didn’t see them for awhile!! Overall a great evening! I think there are new fans- my family definitely is!! On their way out I did hear that they will be checking out the app as well. But I love the physical set. So much fun!!!!! Both can be found on Facebook as well.